What if media had covered the lead up to repealing Glass Steagall as thoroughly as it covered Clinton and Monica? What if we’d been told of the causes for the Crash of 1929 and how Glass Steagall was put in place to stop that kind of bank/investment abuse? If we had been made aware, and then the exact same thing happened as it had in 1929, would we have blamed Bush? or Clinton who made huge profits possible for Wall Street, until the inevitable crash. And, if the media had informed us, as journalists are supposed to do, would we be seeing the DNC back Hillary today with her top donors from Wall Street? Our Collective Conscious is offered the appealing image of a woman president. The image of families having their homes taken would not further the idea that Democrats are for the people. Similarly, for the media to cover the fact that studies show 86% of foreclosures involve the use of some fraud or forgery it would require media to be reporting facts. But that wouldn’t be good for Wall Street, so a different image is presented: Homeowners were GREEDY. We can feel that someone was greedy, so when the finger of blame is pointed at Homeowners, we fall into the trap of blaming them, not Wall Street, and we go so far as to back Hillary despite the fact she’s Wall Street’s candidate. 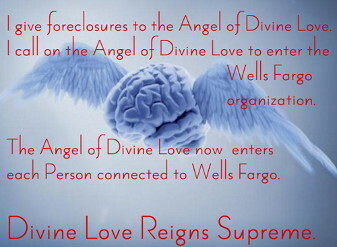 To withstand the stress of Wells Fargo attacking me by denying due process and using fraud and forgery in its foreclosures, I do these Foreclosure Awareness pages. When Stress Strikes ~ View page with videos. Image Credits ~ I can’t find a credit.